Roof 101 provides specialist roofing contractors for all roofing needs, including roof installation and roof repair, at highly affordable rates. Our roofing services are offered to you by reputable, professional roofing contractors, each specializing in different roofing aspects, including all roof repair and roof installation types. Our roofing contractors provide quality roofing services, workmanship and customer service that surpasses industry standards and customer expectation. No longer are you required to shop around for reliable roofing contractors, and fair business practice - we've already done it for you! They say that a picture is worth more than a thousand words. Below you'll find just one of the many examples for why Roof 101 should be your first and only call! So pick up the phone or drop us a line here at Roof 101 - the one stop shop for all your roofing needs. Roof 101 to the Rescue! We provide specialist roofing contractors for both emergency and day-to-day roof repair services. Whether your roof has suffered extreme weather damage, long-term weather exposure, or simple lack of maintenance, our roofing contractors are always on call to come to your aid. 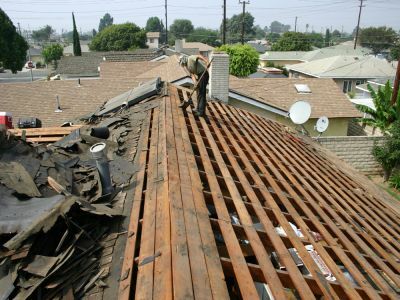 Our roof repair services are efficient and long-lasting - we take care of all damage and affected areas, and prevent further development into more serious problems. Roof repair should never be put on hold - contact Roof 101 today by phone or online, for a professional inspection and superior roof repair services. Roof 101 roofing contractors specialize in all forms of roofing installation for residential roofing and commercial roofing types. We offer a wide variety of roof installtion services for both flat and sloped roofs, including shingle, compostion asphalt and metal roof installation, flashings, guttering systems, skylights, fascias and a whole lot more. 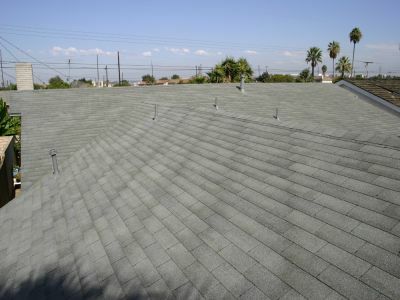 With years of experience and undisputed repuations for professionalsim and good workmanship, our roofing contractors will provide you with quality roofing installation that meets and exceeds industry standards. Call or write to us online to begin your roof installation project the right way - the Roof 101 way! Having a though time deciding between repairing your roof and replacing it all together? If your roofing system is older than 20 years you might want to consider replacing it. Roof 101 Contractors will assist you in selecting the most suitable roofing material based on local climate conditions and the style of your home. Whether you are in the market for a new flat or hipped roofing system, our contractors specialize in all types of roof replacement for both commercial and residential applications. We stand by our work! Your new roof will not only be esthetically pleasing but also provide perfect insulation against heat and cold in addition to withstanding heavy snow, rain and hail.